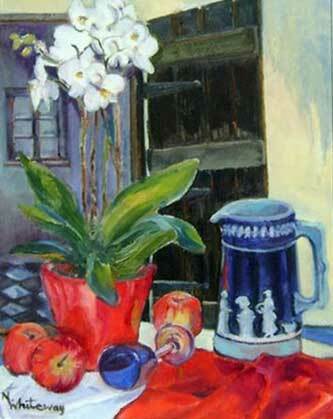 Nanette started painting seriously in 1976 when, with her husband and two children, she went to live in Canada for 3 years. Prior to that, she had occasionally dabbled since school days when she took Art for O-level GCSE. 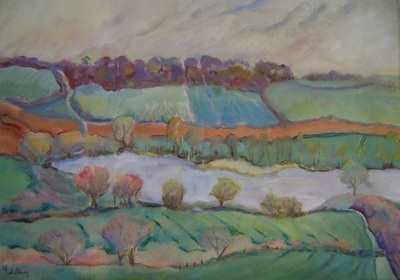 On returning to England, Nanette took A-level Art as a Mature Student and her interest and enjoyment of painting grew. In 1988 she was accepted as a full member of the Leicester Sketch Club and took office as President in 2004, and Secretary in 2006. In 2000 she became a member of the Leicester Society of Artists and has enjoyed the challenge of the various projects set by and exhibited in Leicester New Walk Museum. 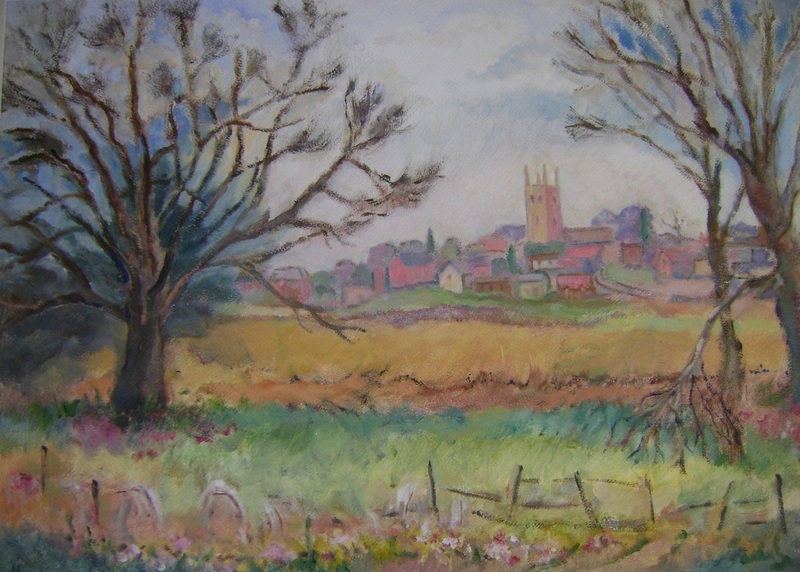 She also exhibits with Kibworth Art Lovers’ Society and Northampton Open Studios and various other local exhibitions and for the last four years has had work accepted for the Leicester City Open Exhibition. Nanette’s favourite medium is oil, sometimes using primed watercolour paper as a ground. She also paints in watercolour and enjoys experimenting with mixed media. 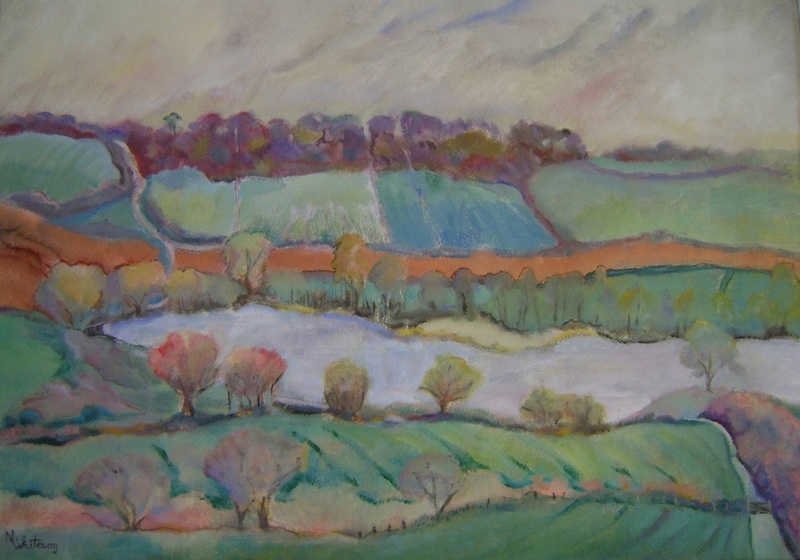 Landscape, looking for pattern that represents the different seasons and Still Life, seeking the relationship of one object to another, both excite her and she tries to convey this in her paintings.